For those who long for the rich, satisfying goodness of a true Blue Cheese Salad Dressing...long no more. 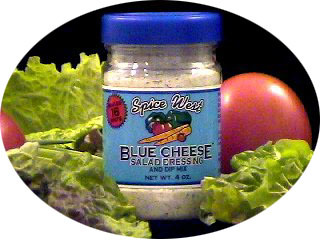 Spice West's Blue Cheese Mix will satisfy the most discriminating taste buds! Our Blue Cheese mix is packaged four ounces per jar and makes up to 16 pints when combined with other ingredients. See recipes.